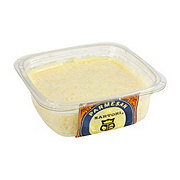 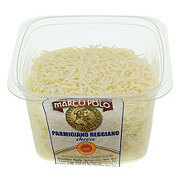 Locatelli is a brand name of cheese and Pecorino Romano is a variety of cheese. 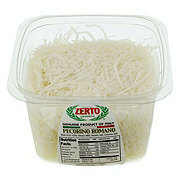 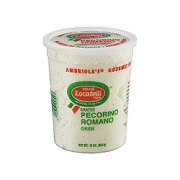 The Locatelli family began producing Pecorino Romano over 500 years ago in the Lazio region of Italy. 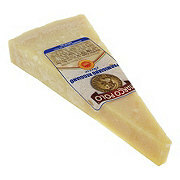 Today, Locatelli Pecorino Romano is considered to be one of the finest Pecorino Romano's available. 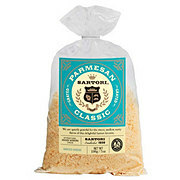 It is unique in quality because it is hand-crafted from 100% pure sheep's milk which when aged over 9 months at a minimum, the result is an aged, spicy and sharp, dry cheese that is perfect for a grating cheese. 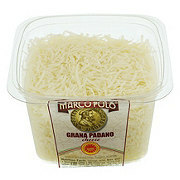 We like to cut up some small pieces and enjoy it as a snacking cheese, accompanied with traditional Italian antipasti and even artisanal Italian honey and compotes.